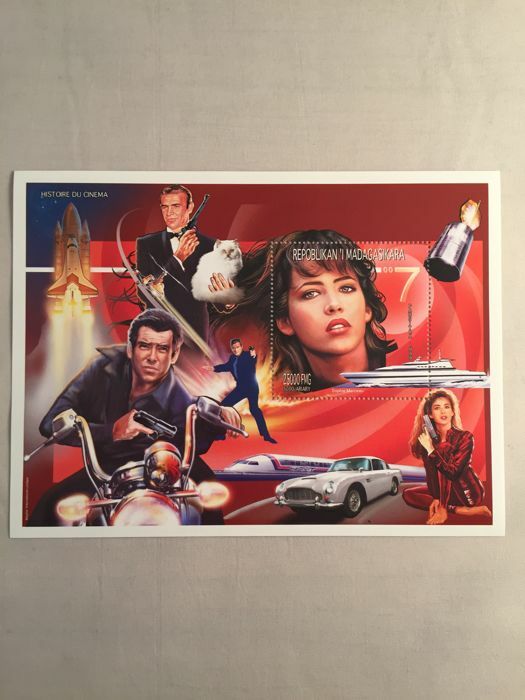 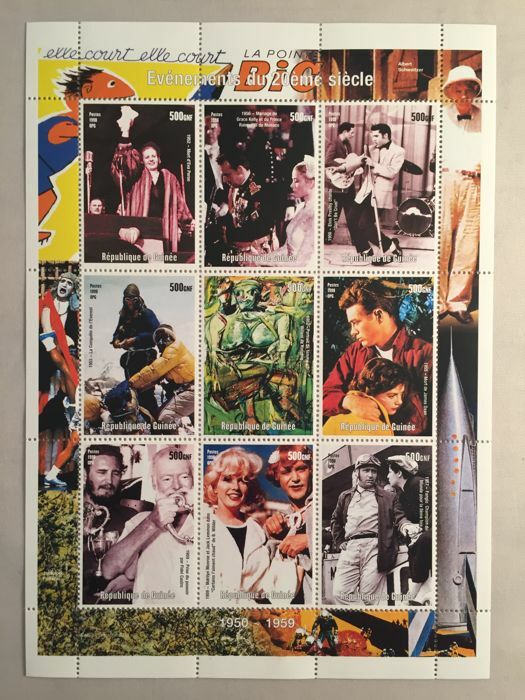 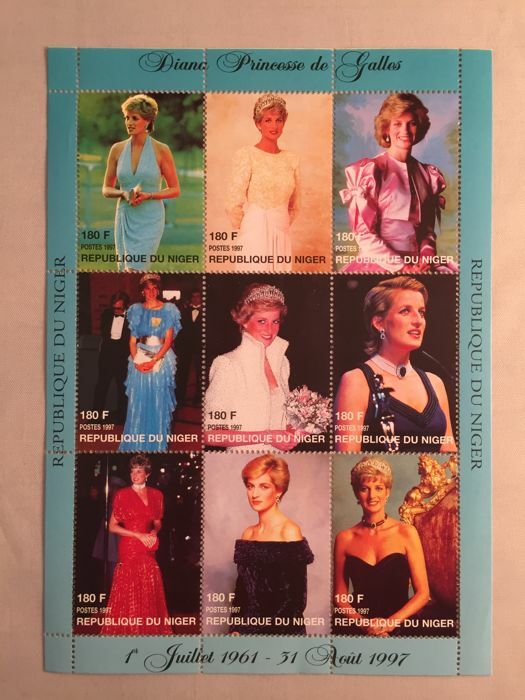 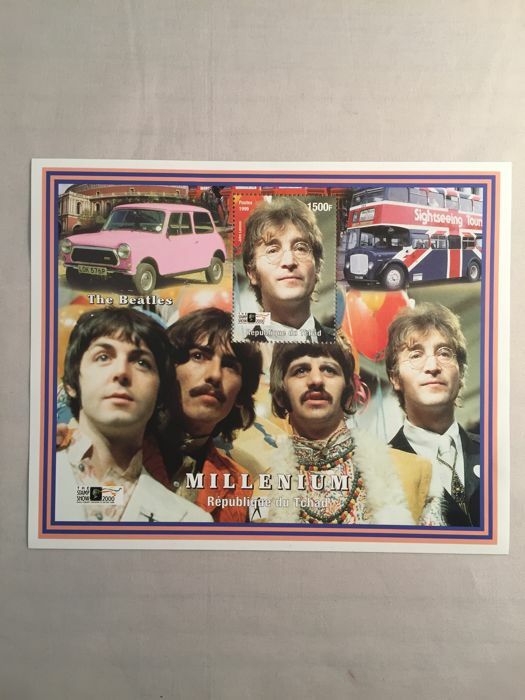 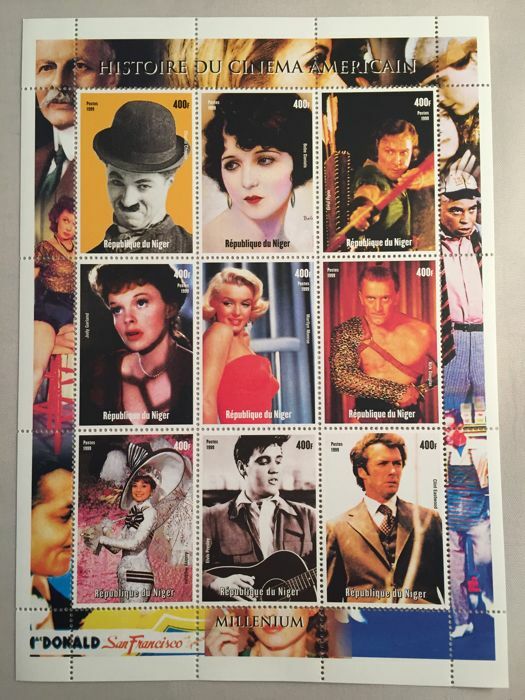 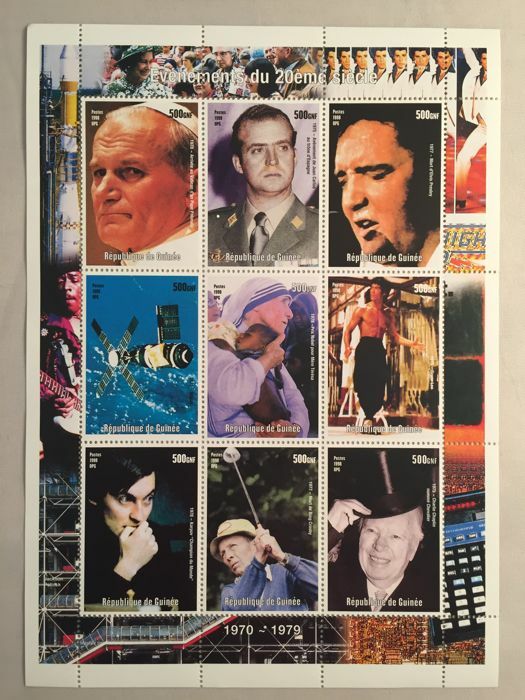 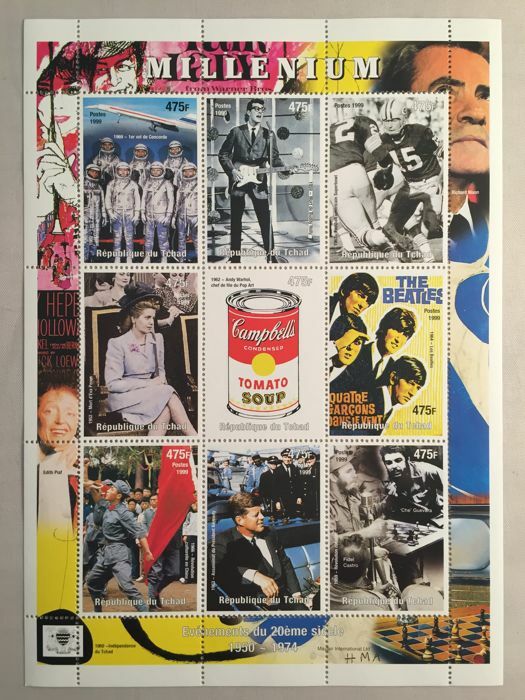 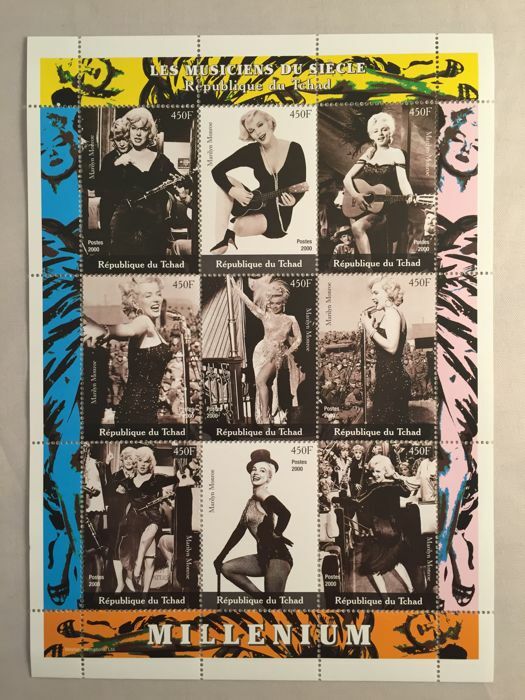 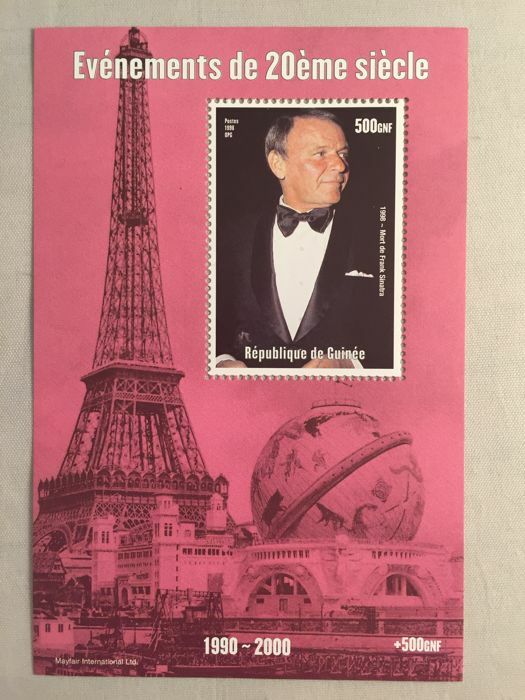 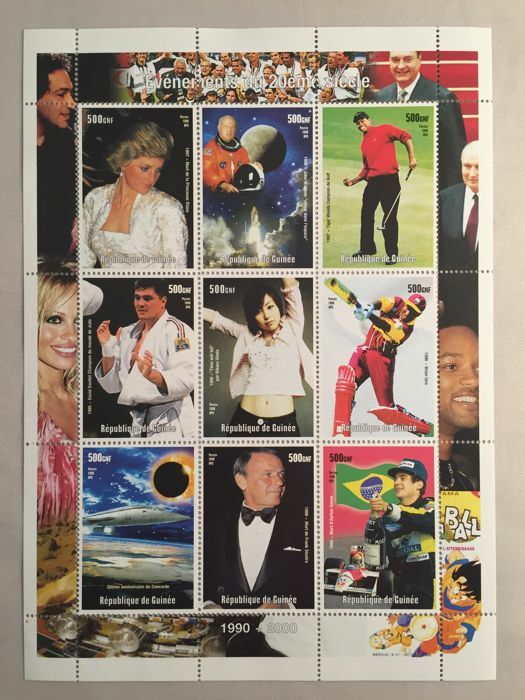 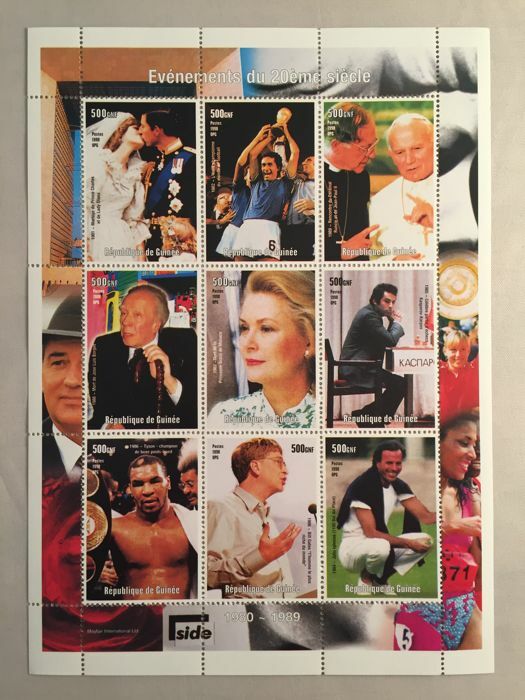 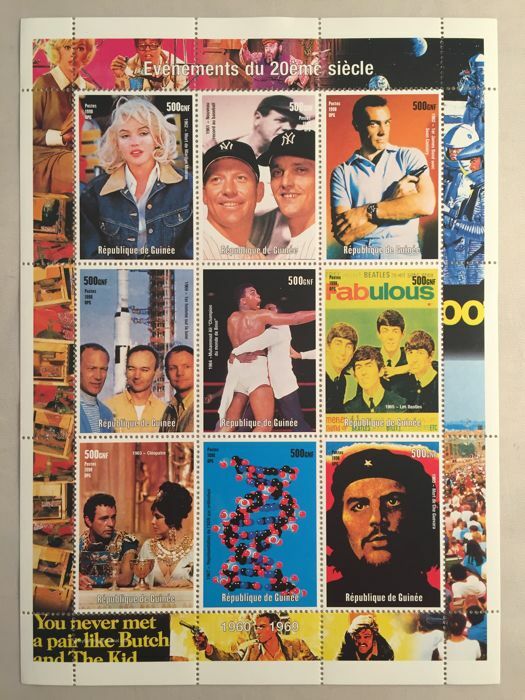 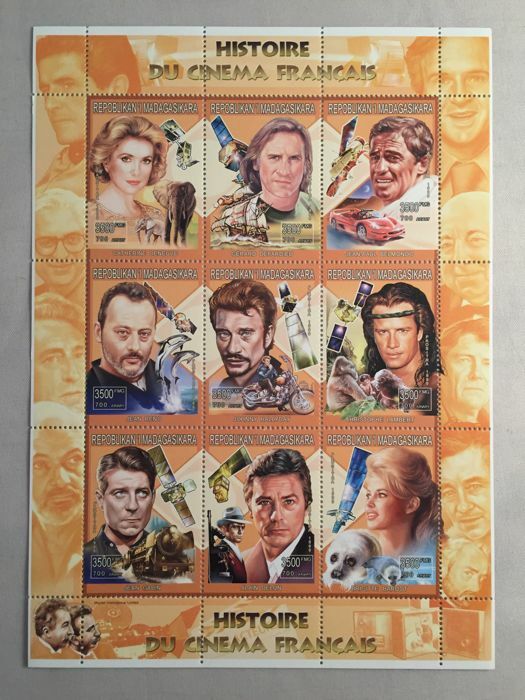 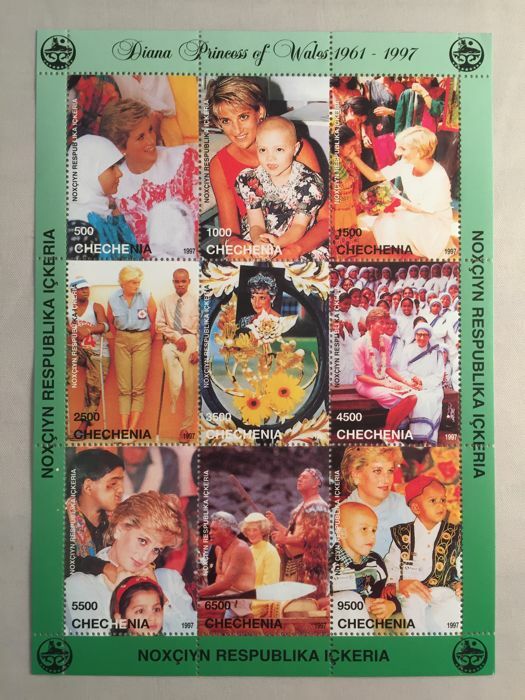 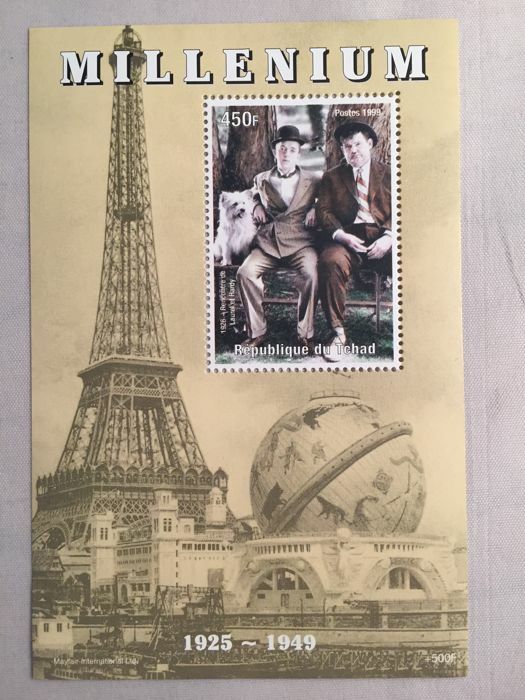 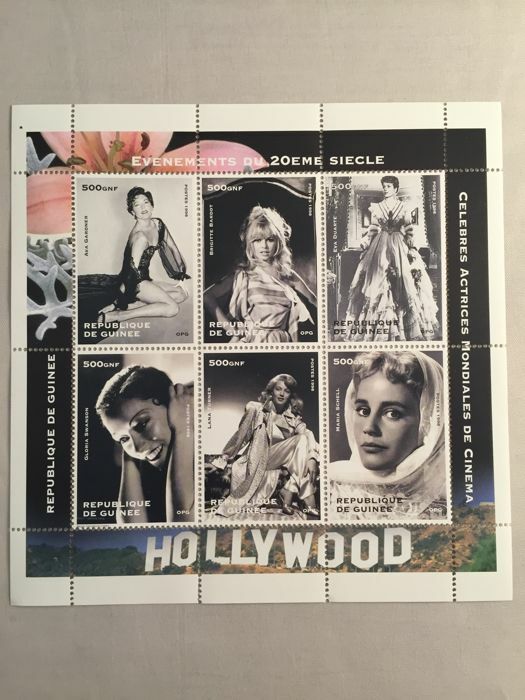 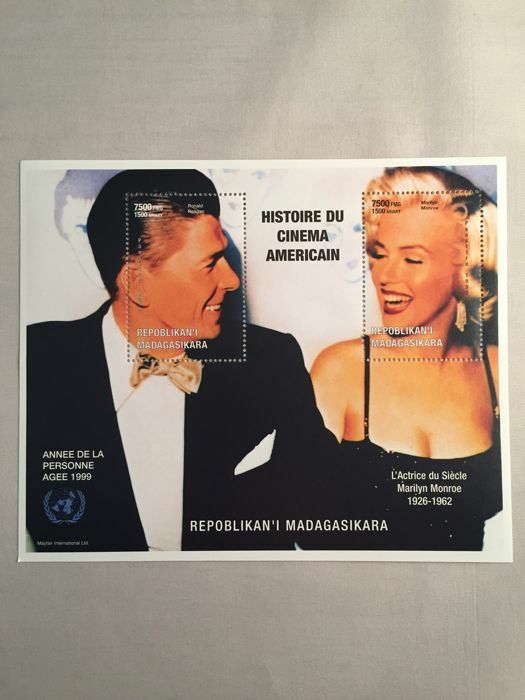 200 Theme Blocks of famous people, MNH quality. 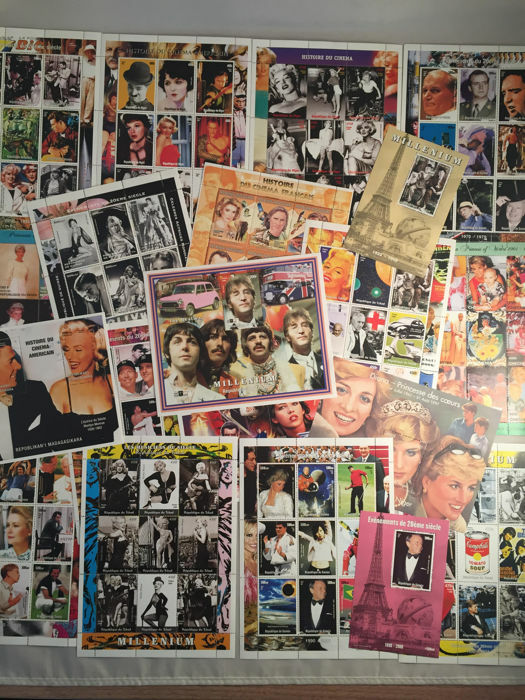 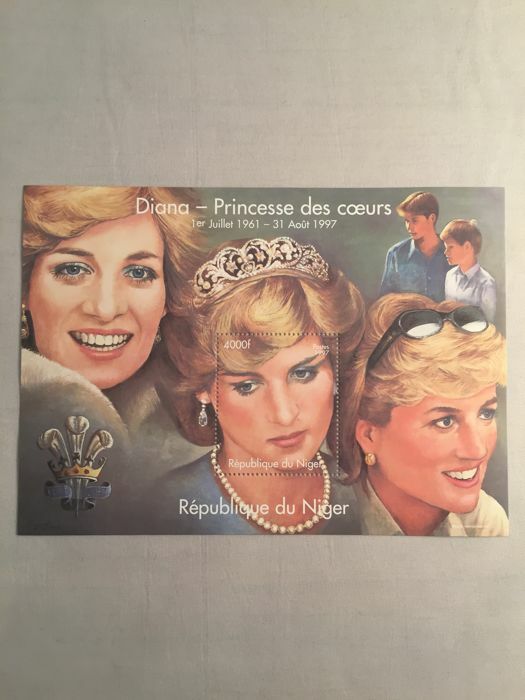 (20 different ones, each one 10x) including Beatles, Elvis Presley, Marilyn Monroe, Lady Diana, Laurel and Hardy, James Dean, Brigitte Bardot, Pope Jean Paul II, Muhammad Ali, Buddy Holly, Frank Sinatra, Ayrton Senna etc. 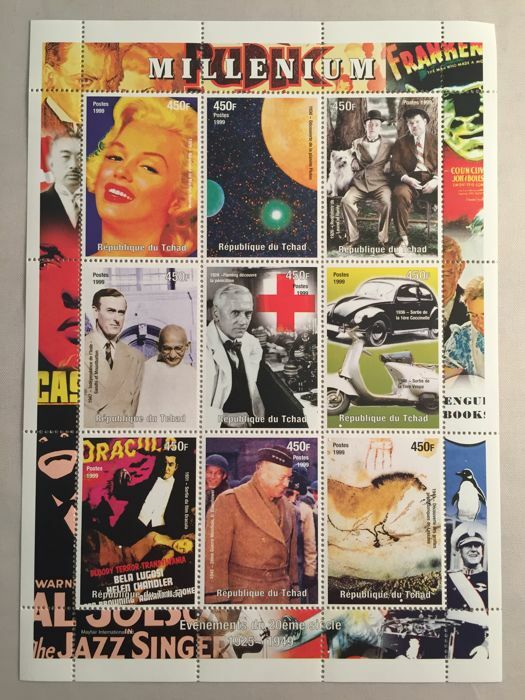 See the image to form your own impression. 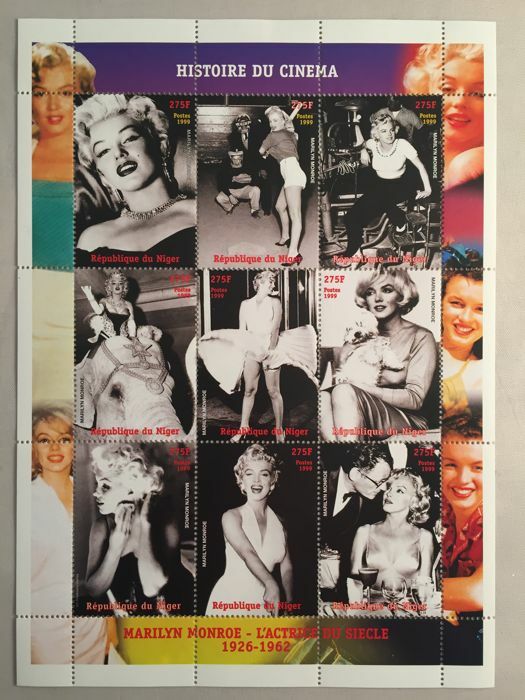 You can pick up this lot from the seller: Maasmechelen (Vlaanderen), Belgium.